This would normally have been made with salt cod, but we have overfished, alas, and there is hardly any cod left. 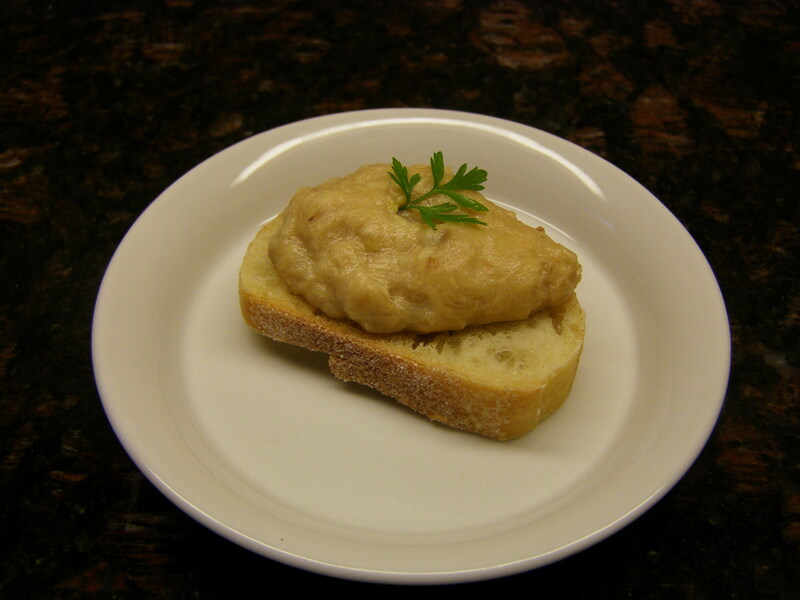 I feel that we should not eat anymore for now, and decided to make brandade with another plentiful fish, salmon. The result will be very different but very good and not your typical salmon recipe. The wild salmon are plentiful right now on the West Coast and I have a fresh pink today. Not the most sought after species, but it will work well for brandade and it is certainly not expensive. First, boil 2 peeled potatoes suitable to mash in cold salted water with 1/4 of a chopped onion, 1/4 of a bayleaf and thyme. Drain. Boil 200 gr salmon about 4 minutes. With a mortar and pestle, crush 2 degermed cloves of garlic, and then add the salmon and crush fine, adding 1/4 cup extra-virgin olive oil and 1/2 cup warm milk slowly. Stir until smooth, add the mashed potatoes and stir again. Adjust the salt, add pepper. Serve warm with toasted baguette and a green salad on the side. 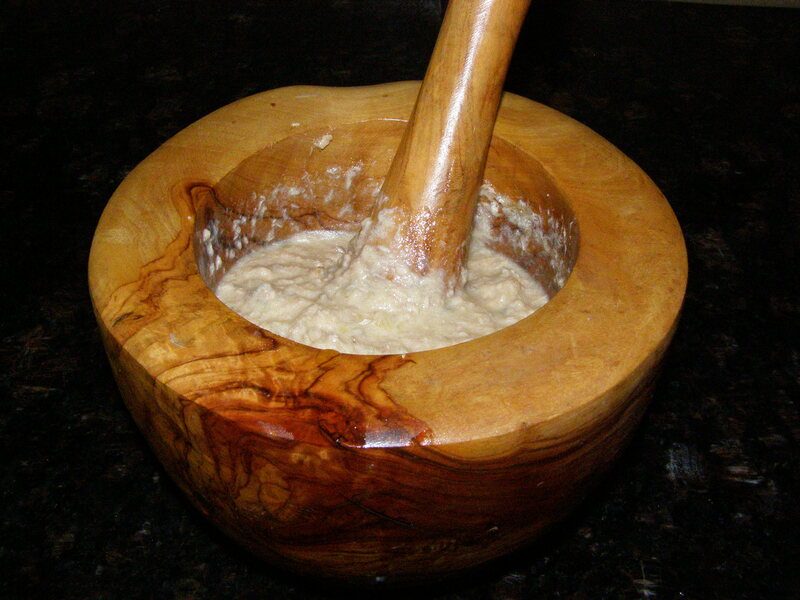 Of course, most cooks would now use an electric mixer, but then it won’t be brandade since the name brandade means more or less a crushed mixture. Oh well, who is to know? Optional: the zest of a quarter of a lemon. I prefer without. Note: there is no need using cream, it does not taste better with it. But, to achieve a more pasty texture, do include the scaled fish skin, especially if you are using electrics. (In the mortar, the skin is hard to grind and you might see some black spots in the otherwise pale pink creamy paste). 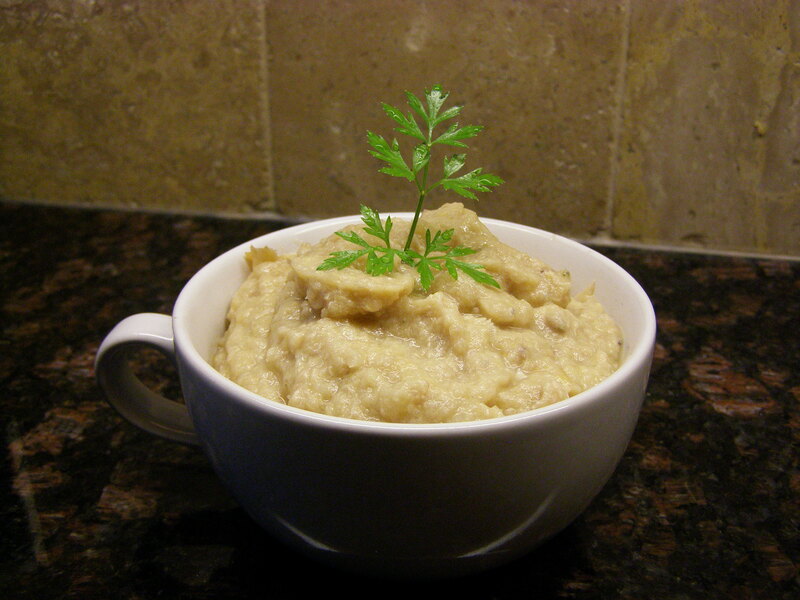 Originally from the town of Nimes, brandade was to be made with salt cod only. The recipe with potatoes is now the most popular and it is a highlight of Provençal cooking. It is important that the garlic is not cooked. You can make this the day before and heat it in the oven. This entry was posted in Appetizer and tagged Brandade, brandade de saumon, cooking, food, french, Provence, recipe, recipes. Bookmark the permalink.